The 25 high-quality seeds in this assortment are a random mix of the five Indica varieties from the Sensi Seeds Outdoor collection - Early Girl, Early Skunk, Ruderalis Skunk, Ruderalis Indica and Guerrilla's Gusto - all of which can be grown together with great success. Growers with a good eye for Indica can often identify their favourite breeds soon after the onset of blooming, while first-time cultivators can hone their cannabis-senses and learn lots more through careful observation of the different plants and their subtle variations. The differences in form, flavours and flowering patterns will become more obvious as the outdoor season progresses. 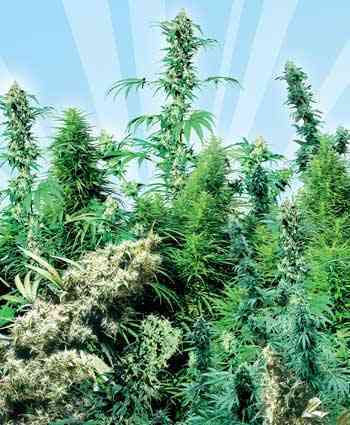 This mix of Indica strains provides outdoor growers with a varied yet complementary range of plants for their garden. Starting a good number of seeds from the Outdoor Mix should result in examples of all five strains. The first signs of bud will be seen on the auto-flowering strains - Ruderalis Indica, then Ruderalis Skunk - which will go on to reach maturity earlier in the season. 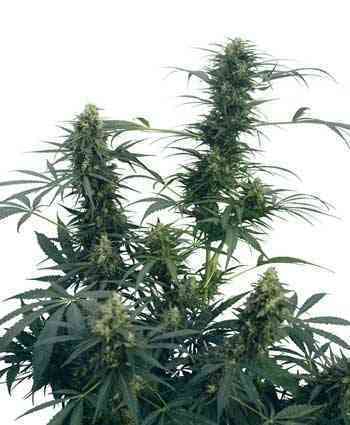 By the time the auto-flowering plants have been cut down, the other Indica-dominant plants should be in full bloom. Fast and beautiful Early Girl will be approaching harvest a few weeks later, followed by the hardy Guerrilla's Gusto. As autumn creeps up on summer, the outstanding Early Skunk and will be at the peak of her resin and flower production, making her ready for harvest in October.